October 31, 2012  The final ScuttleButton puzzle before next week's election awaits to be solved. 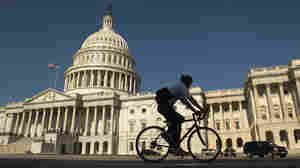 October 29, 2012  After three successive "wave" elections in the House, it looks like there will be little net change in 2012. And that means the Republicans are favored to retain the majority they won two years ago. October 23, 2012  The debates are over. Now there's only one question left: What is the answer to this week's ScuttleButton puzzle? Figure it out and you could win a Political Junkie t-shirt and button! October 2, 2012  The Political Junkie t-shirts are in, and they're gorgeous. Another incentive to solve this week's ScuttleButton puzzle. October 1, 2012  After everything that's happened — the primaries, caucuses, V.P. picks and conventions — it's now time for the debates. They have the capacity to change the dynamic. But, more times than not, they don't. September 25, 2012  All we can say is that you don't see Ken Rudin going on "The View" instead of producing the latest ScuttleButton puzzle. 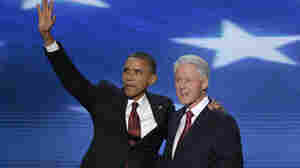 September 24, 2012  The race for the White House is not over. 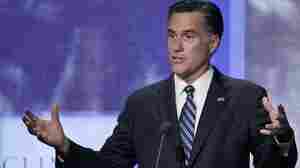 But with 6 weeks to go, Mitt Romney still trails in key battleground states he must win if he is to defeat President Obama. September 17, 2012  Don't people realize that when they protest against the U.S. and ransack our embassies, it only makes our will to continue producing ScuttleButton puzzles even stronger? September 17, 2012  With about 50 days to go before the elections, the battle for Senate control is still too close to call. To get a majority, Republicans need a net gain of 4 seats — 3 if the GOP wins the White House. September 10, 2012  Let them shut down Stephen Strasburg. But they'll NEVER be able to shut down ScuttleButton. 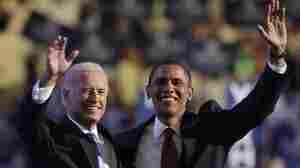 September 10, 2012  The Democratic convention seemed to have more enthusiasm, better speeches and greater emotion than its Republican counterpart. But Charlotte is over, and bad economic numbers are the new reality.